Niseko is an international resort representing Hokkaido. You can enjoy trekking and rafting in the summer and there are the mountains which you can enjoy skiing and snowboarding in winter too. Please enjoy watching many wonderful plants and the splendid scenery in spring and autumn. It is the place that you can enjoy by any kind of season through one year. Two cherry trees, Mt. Yotei and patchwork fields weave together to create a sight typical of the Niseko landscape. This scene is often found in pamphlets and magazines featuring Niseko. This spot has been designated a ‘place of scenic beauty’ by Niseko Town and is a valued part of the local landscape. 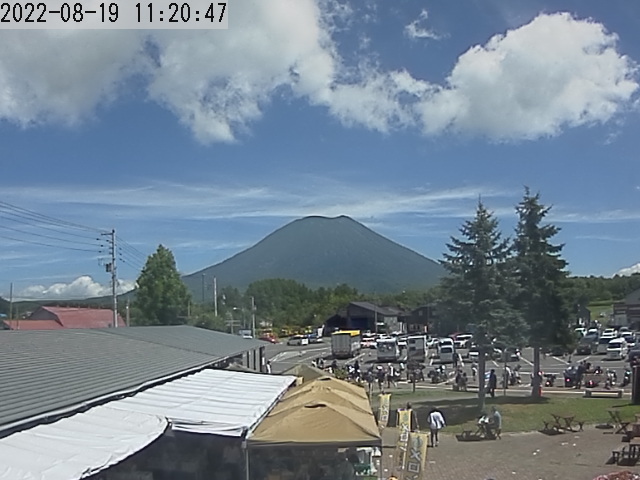 Real-time images of Michinoeki Niseko View Plaza and the Niseko Annupuri International Ski Area.